Rising implementation of automation and streamlining of manufacturing processes to reduce time and material wastage by manufacturing industry for improving their efficiency. Barcoding is an emerging technique which is widely adopted by many manufacturing companies to reduce the production time of manufacturing process. This is the major factor driving demand for barcode printers across the globe. Leading companies are opting for mergers and acquisitions in order to diversify the product portfolio and to strengthen their position in barcode printers business. For instance, in 2014, ZEBRA TECHNOLOGIES acquired Motorola Solutions’ Enterprise business for USD 3.45 billion. Together the companies aim to provide stronger and innovative combines platforms mainly for asset tracking and printing solutions and services. Whereas, in 2013, Honeywell acquired supplier and manufacturer of automated identification and data capture equipment Intermec company to expand its business into barcode technology hardware markets. With the growing popularity of e-commerce business, Amazon and Flipkart are increasing the use of barcode printers to improve their profitability and to eliminate human errors. Moreover, e-citations or e-ticketing helps traffic police to overcome the challenges of speed, accuracy and officer safety. Barcode printer Zebra RW420 printersprovided by Zebra technology to Milledgeville police department reduced the average time by 2/3rd used for citation by 2/3rd. Rising usage of barcode printers for law enforcement application are also expected to propel the growth of global barcode printers market. Global barcode printers market is expected to reach USD 5.39 billion by 2024, expanding at compound annual growth rate of 7.60% during the forecast period. 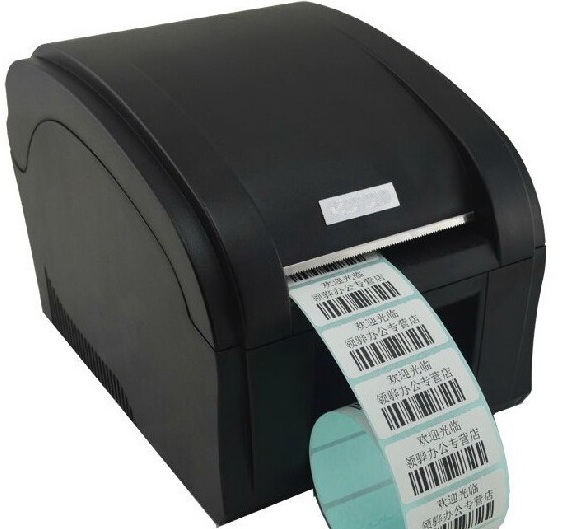 Growing adoption of products with barcode tags in retail store and use of bar-coded personal IDs for patients in hospitals is boosting the demand for barcode printer in the market. North America is the dominating region for global barcode printers market followed by Europe, owing to the high preference of barcoding technology for different in Both North America and Western Europe region. North America barcode printing market valued USD 1.14 billion of the overall revenue of barcode printer market. Europe barcode printer market is projected to grow at a CAGR of 7.0% during the forecast period. Rapid industrialization and booming retail industry are likely to contribute in the growth of barcode printers market in Asia-Pacific region. With growing establishments of production facilities and implementation of barcode printers in end-user industries, Asia Pacific barcode printer market anticipated to grow at a CAGR of 9.7% during the forecast period. Barcodes marked on labels of product are utilized to keep a track of product count, product manufacturing date and price details. Barcodes helps in retrieving information and monitoring of products and helps the manufacturers or retailers to increases their efficiency and reduce errors. However, compatibility issues of barcode printers with different operating systems are a major restraining factor for the growth of global barcode printers market. Rising implementation of RFID tags as an alternative option over barcode labels hindering the demand for barcode printers. For a detailed overview, send us a sample request.